L/R audio and supports sampling rate up to 192kHz! It supports an external device such as an amplifier via standard RCA-style L/R jacks, and a stereo headphone via its 3.5mm jack at the same time. This small converter is easy to use and plug and play. This Digital to Analog Audio Converter is designed for either home or professional audio switching. 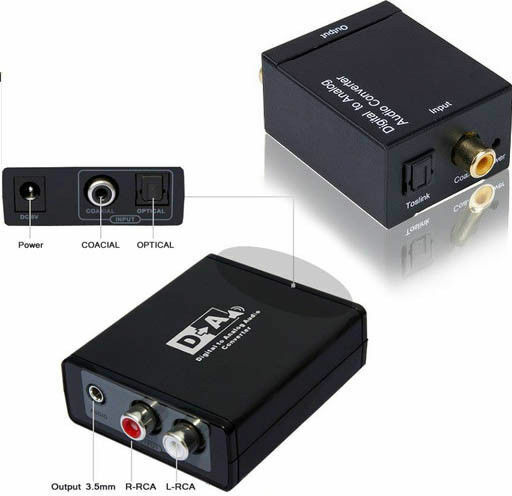 It converts Coaxial or Toslink digital audio signals to analog L/R audio .